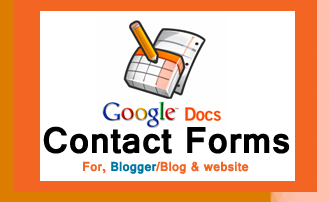 Home Google Docs Contact Forms How To Create Contact Forms using Google Docs? 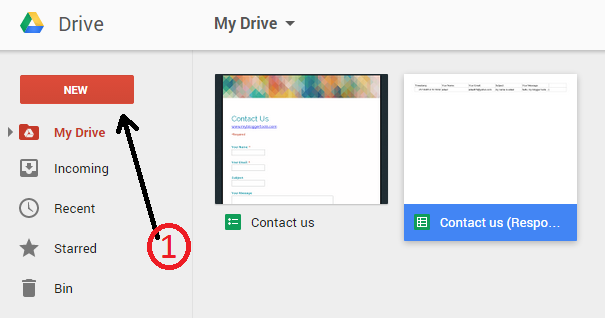 How To Create Contact Forms using Google Docs? I already use Google Docs, Forms, to my contact us page. And beginner bloggers easily to create a contact form. Google is always being good and easy for blogger and websites user interested. And Google Docs tools are simple, you create spreadsheets, Documents, Form, and much more this like an answer sheet and etc. 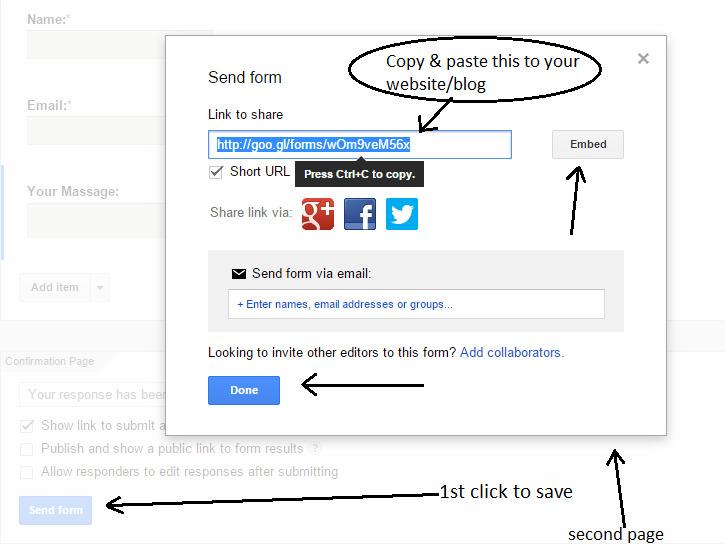 So lets see how to create and apply to your website/blog, Google Docs, Forms for using the very easy step. 2: Now adding text in field, 1st write your name in Question "Title section" and this is a label that appears before an input text field as a your first question. Your first input almost complete, now click Done to save this field. 3: for e-mail and other option what you want to ask just repeat the same process for Email input. If the e-mail section is impotent, then click Required question mark. And then Done to save second field. 4: now add a message field, in this section you require a paragraph, so you Question Type are (Paragraph text) click Done to save this too. 5: your (contact form) is thankfully Done, now click (Send Form) Button, then click (Short URL) and then "Embed" your link, and click Done to end this setup. Now paste this link to your blogger, website, blog, where you want to apply this Contact Form, you also change Contact Form Theme, just click (Change theme) is showing this image blow you just see and easy to change this.